Painters Painters is a reputed brand in Sydney with full team of experienced commercial painters in Sydney. Our commercial services are meant to cater to corporate offices, restaurants, shopping arcades and boutiques and many more. 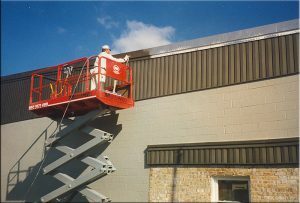 It is our pride that our Sydney based commercial painters have already satisfied a wide clientele with our valuable work. Our workmen understand the importance of providing bespoke solutions to all. So, if you want to paint your brand new commercial property or want to revamp the look, simply give us a call and our team will reach your site for a thorough inspection and would provide you the cheapest possible quote.